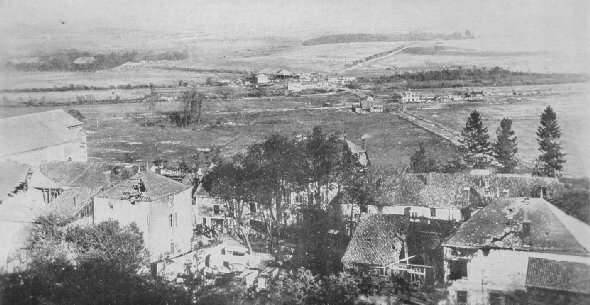 The terrain in the Argonne section. This striking view shows Chatel Chehery in the foreground, with La Forge and a local railway to the right. Between them may be seen in the distance, Exermont, and on the hill, Apremont. 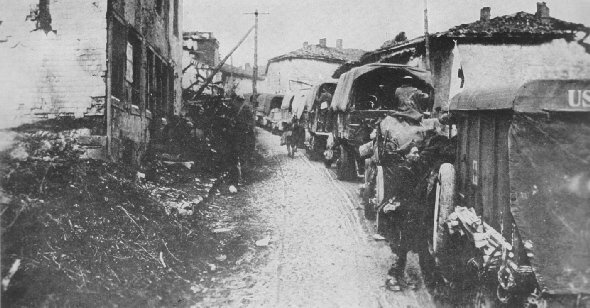 Supply train of a company of American engineers whose job was to keep the way cleared and ready so that supplies could be rushed forward to the fighters. Here trucks are bringing supplies to the engineers in the darkness of night.